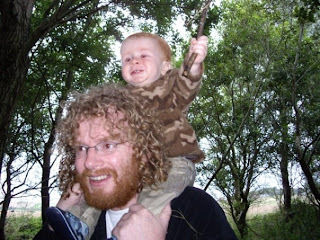 The Brick Castle: "I've Got A Stick"
In August 2009 we brought all 6 of our children up to Scotland to stay with my partner's parents on their farm. They learnt to ride ponies and had bonfires and played in the woods and had a fantastic time. Our youngest at the time was very nearly 1, and I posted this picture on Facebook with the description "I've got a stick". Almost exactly 4 years later and we're here again. We've been up several times over the past 4 years, and now it's the youngest 2 riding the Shetland ponies and the bigger ones who go and do their own thing, or in the case of the biggest don't even come because they're at work and back at home! can't beat a good stick to play with!! you should continue to recreate this picture, the final result of them all would be cracking! That's so lovely Jenny, I think comparison photos are wonderful, as so glad to see the OH out and about. 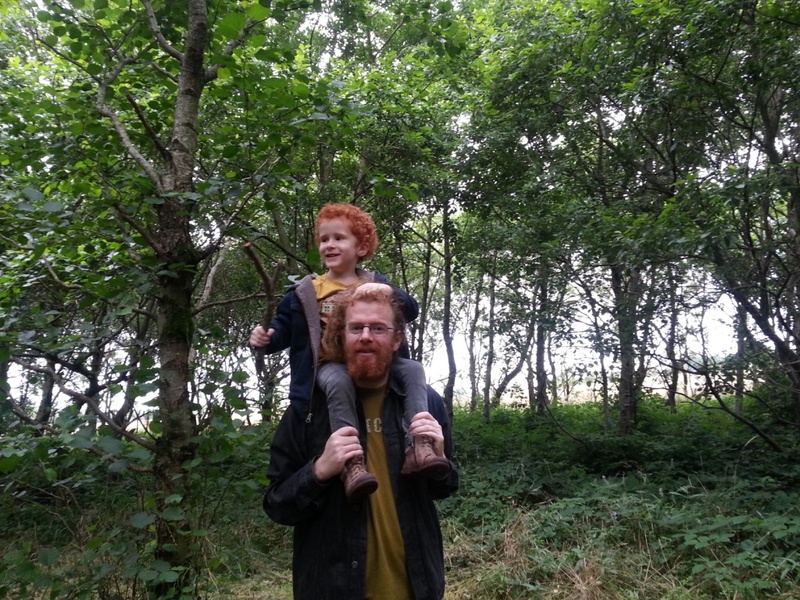 I love both photos, there's something fascinating about sticks for little boys. It's magic!